Taking a chance beneath "Suspended." All photos by Berit Baugher. 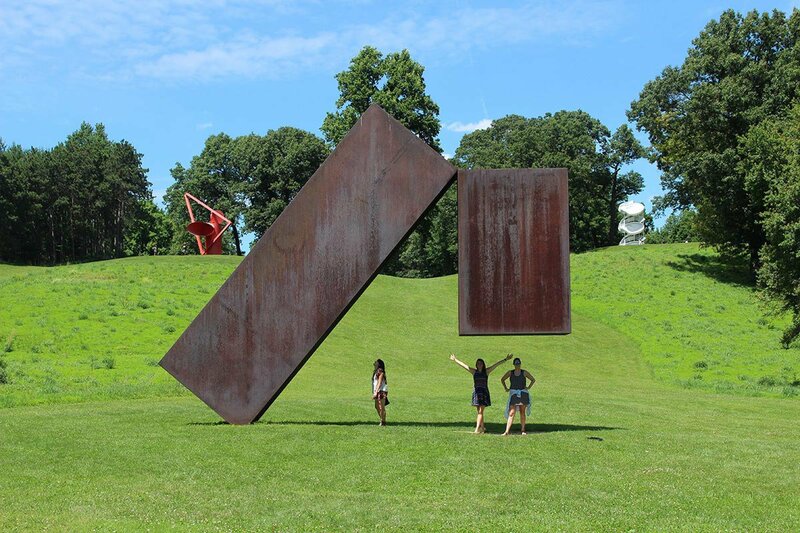 Fathom's Berit Baugher hit the road with a couple of friends and a picnic lunch and spent the day roaming among the towering sculptures at Storm King Art Center in the Lower Hudson Valley. It's a happy — and easy — escape from New York City. NEW WINDSOR, New York – I have a very long list of places I'd like to get to one day. Some are as far away as the glaciers off Southern Patagonia and others are as close as Hudson Valley. But, as with most things, life gets in the way, and even the closest of destinations can go unvisited for far too long. On a beautiful late summer day, after many emails and the kind of postponements that come with trying to organize a group of people, I packed my car with friends, a rough agenda, and a picnic lunch. 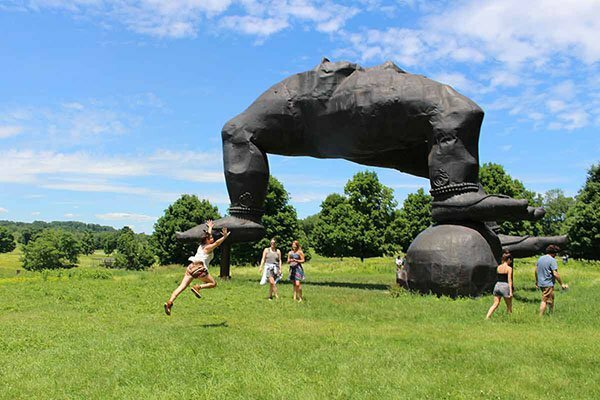 Our destination was Storm King Art Center, two hours north of my Brooklyn home. 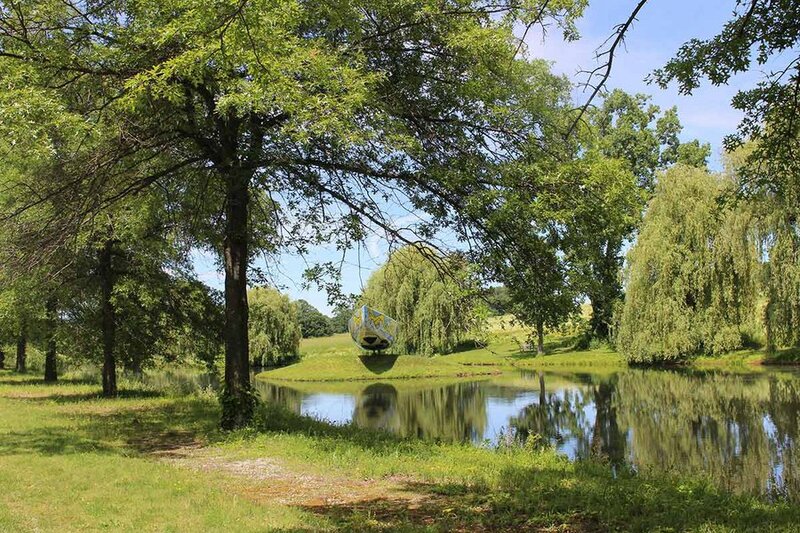 But first, we took a 30-minute detour to visit Blue Hill at Stone Barns. Known for its seasonal locavore menu and photogenic surroundings, Blue Hill is one of the few restaurants that even New Yorkers consider worth the journey. 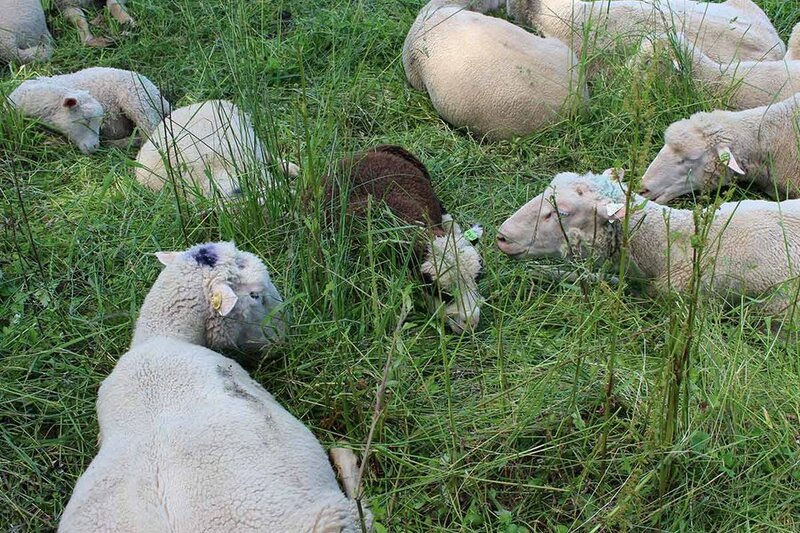 Not much of a foodie myself, I was always more intrigued by the tales of its working farm, with its endless fields and roaming chicken and sheep. After driving through the entry gate, we picked up a map at the gift shop, grabbed lattes and freshly baked carrot cake muffins from the cafe, and set off on a self-guided tour. We had to be back in New York City by 6 p.m., so our time was short. 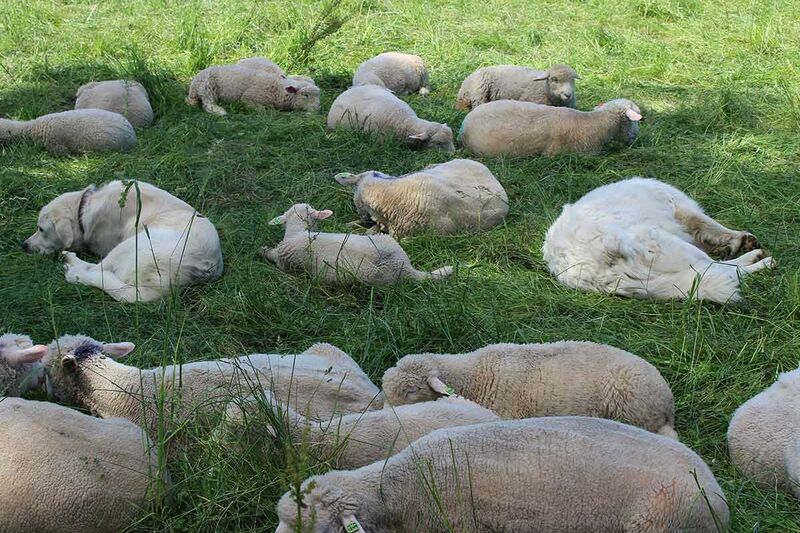 We drove and strolled the grounds, past greenhouses and through fields filled with sheep, chickens, and grass. 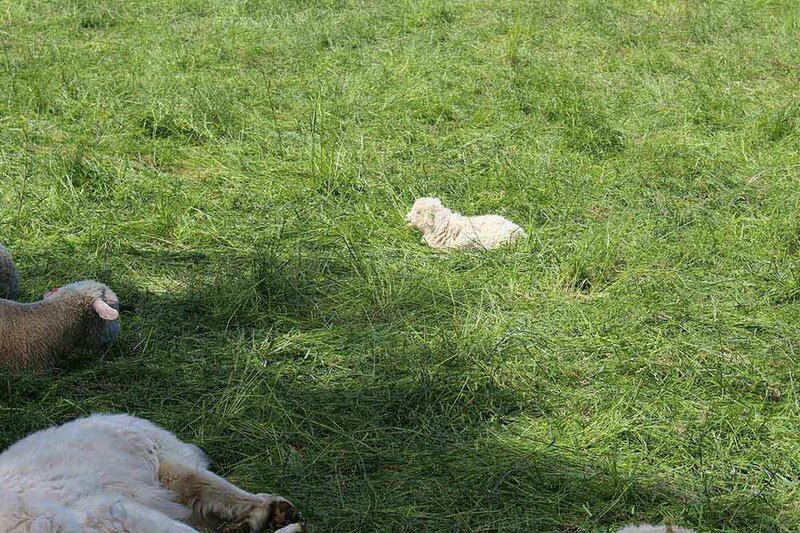 So much grass. It wasn't enough, and now I have another place on that list of places to visit. I'm told those greenhouses filled with endless rows of pretty baby lettuce. 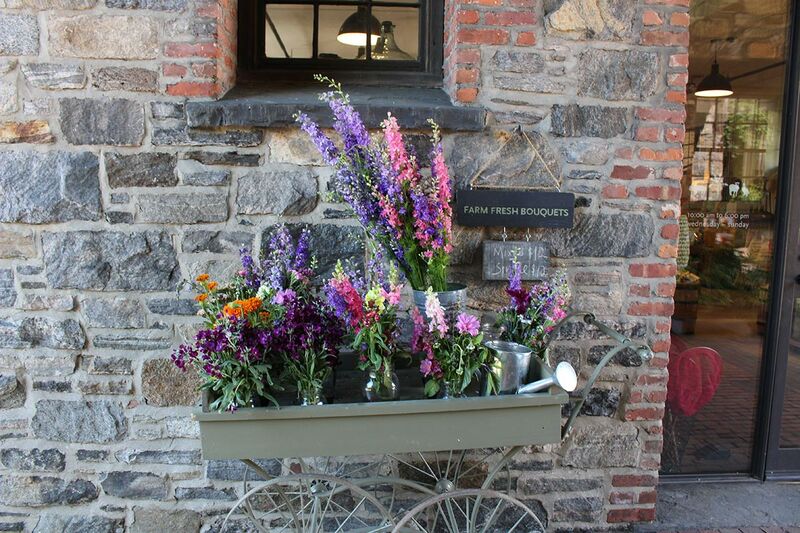 Handpicked bouquets outside the gift shop. 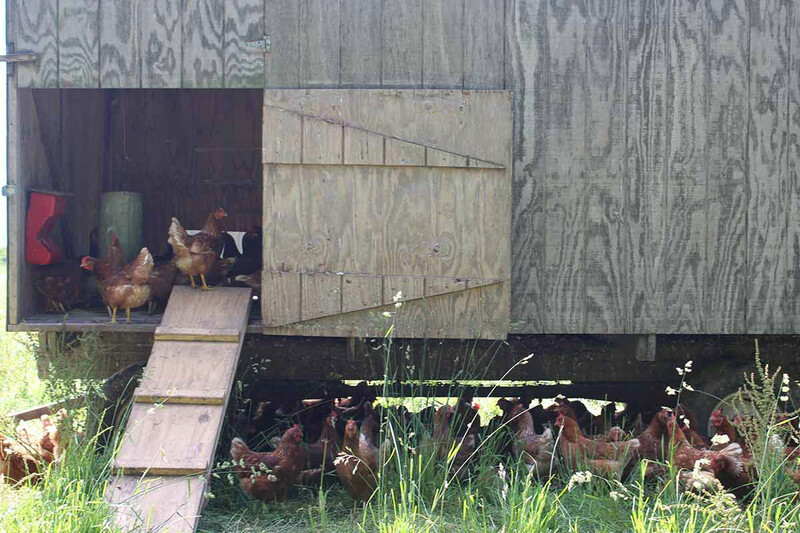 Gather farm-fresh eggs from the hen houses. Two of these are not like the rest. 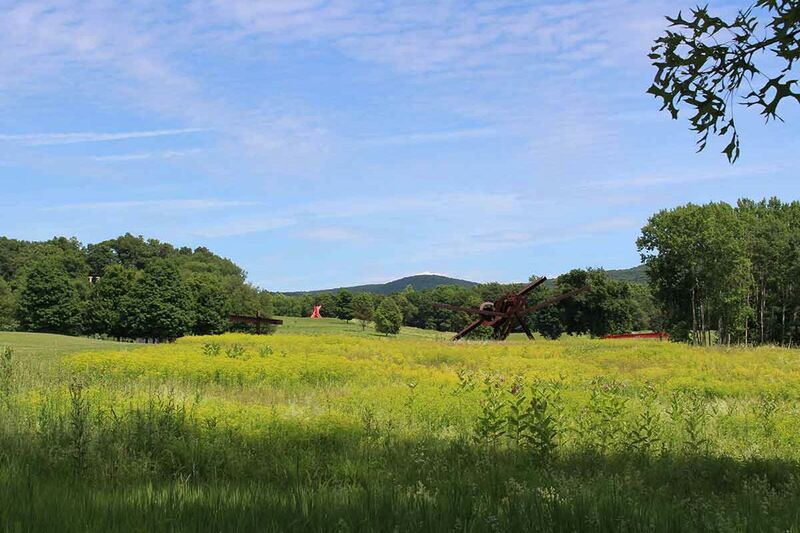 The drive to Storm King Art Center is among my favorites. 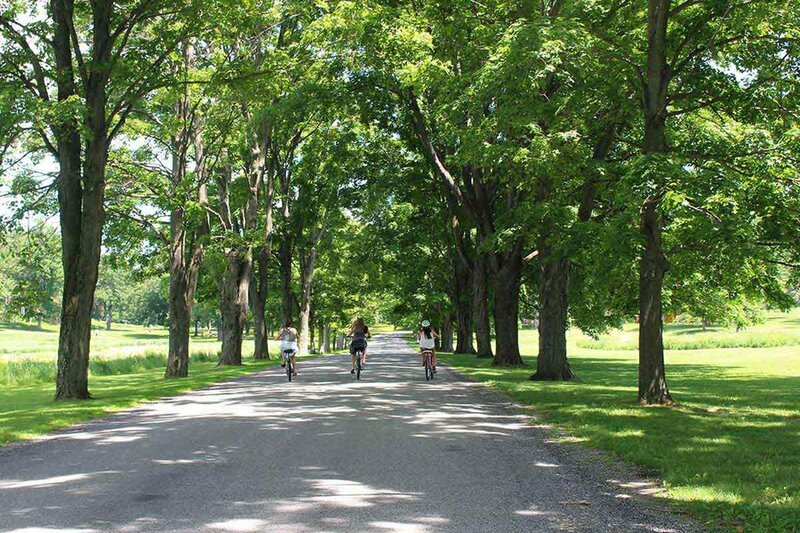 Winding streets weave around bright, green hills and stately trees. Mountains tower in the background. It's really beautiful — so much that it's hard to your eyes on the road. I totally get why weekenders would rather relax on a peaceful drive up north than parked on the Sunrise Highway on the way to the Hamptons. Finding Storm King was a little confusing, but once we parked, it was all uphill from there. Literally. 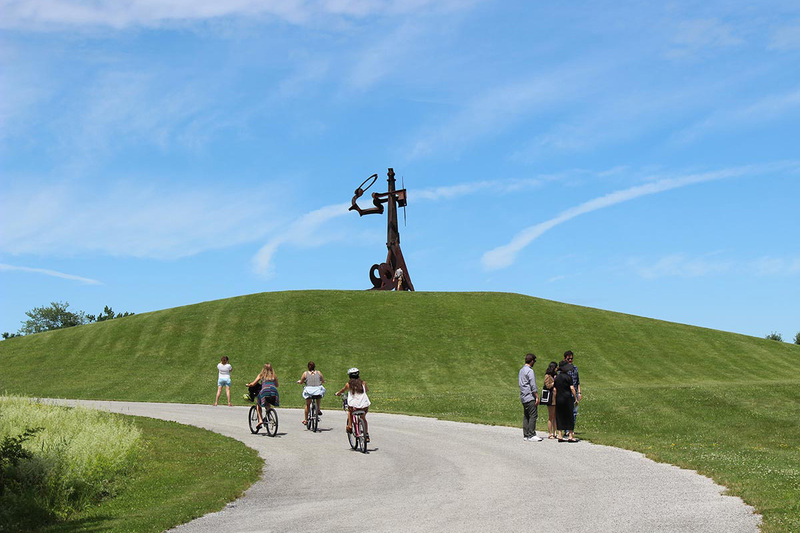 We rented bikes to explore the 500-acre outdoor sculpture park, which is filled with works from the likes of Mark di Suvero, Zhang Huan, and Alexander Calder. Some of the paths are steep, others off-road. Seeing it by bike is the best way to do it. If that's not an option, a free tram runs around the grounds, and of course it's beautiful to walk it. Wear comfortable clothes and shoes. This is an art museum, but you have to work for it. And it's so worth it. 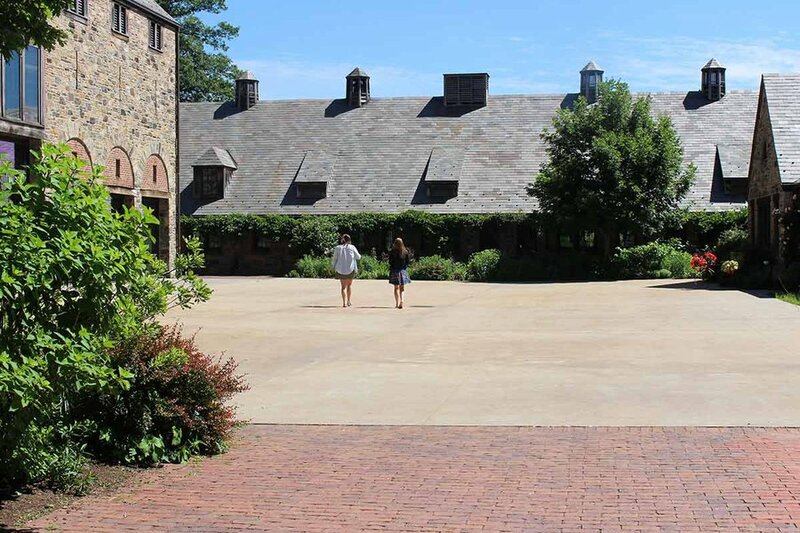 A self-guided tour of the beautiful buildings at Blue Hill at Stone Barns. This guy stuck out like a sore (but very cute) thumb. It was a struggle not to take this one home. 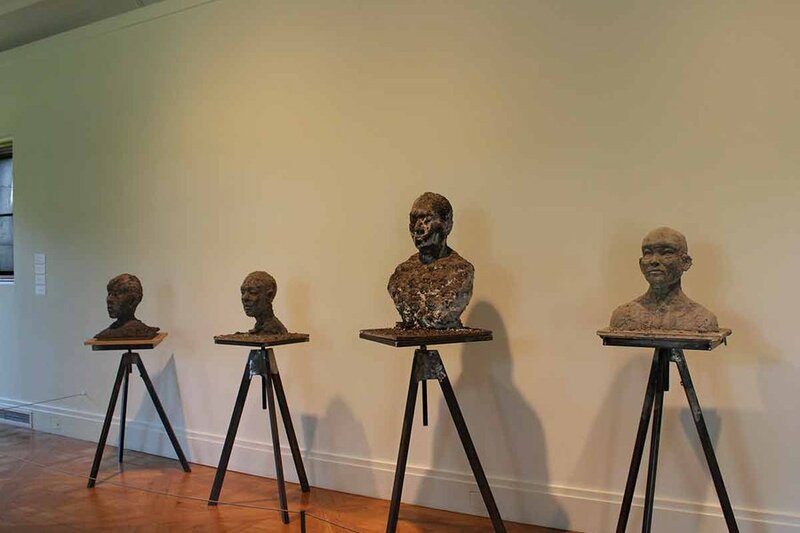 Zhang Huan's companion piece to the headless Three Legged Buddha is strewn a short distance away. 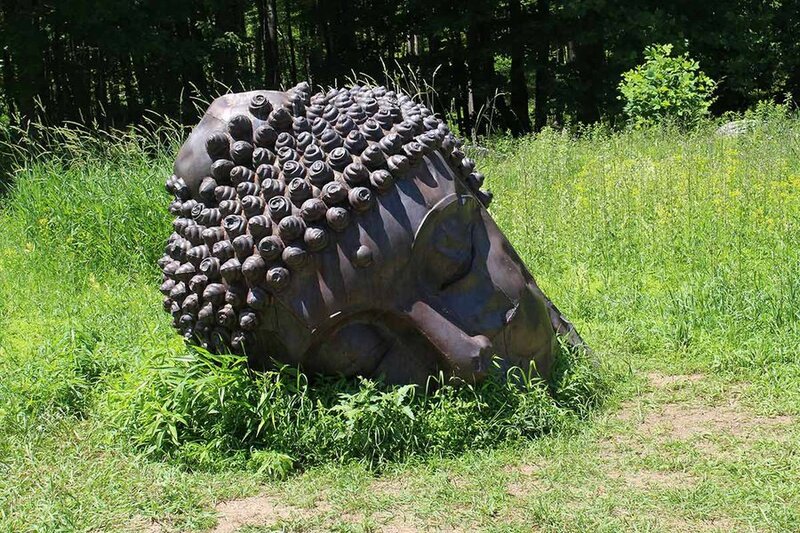 Zhang Huan's Three Legged Buddha is one of Storm King's highlights and a great spot for an afternoon picnic. 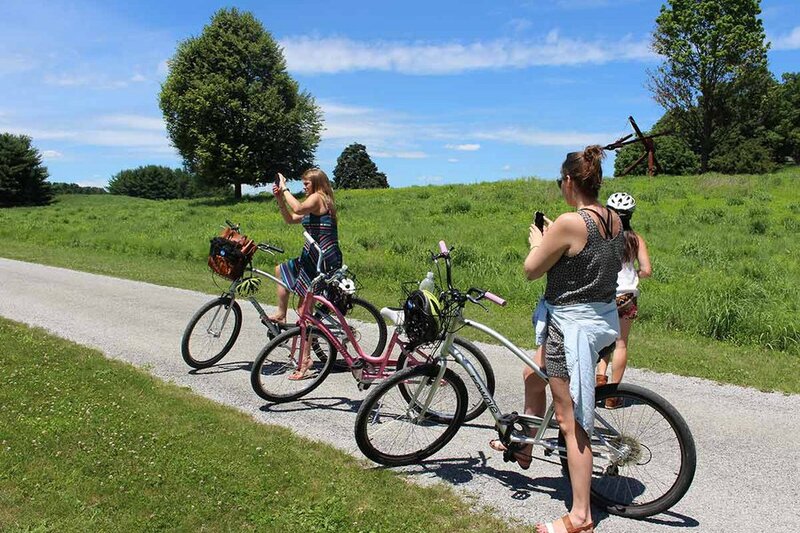 Rental bikes are a must for navigating the vast grounds. 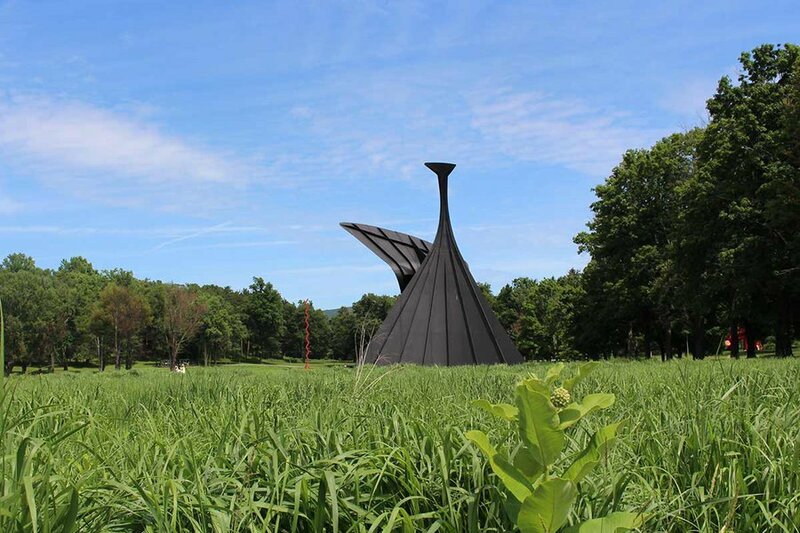 The Alexander Calder sculpture stands 56 feet high. 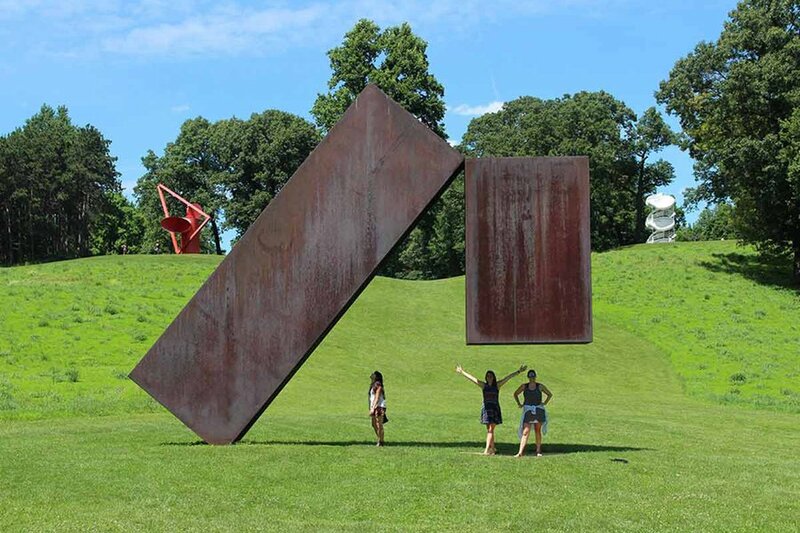 Menashe Kadishman's sculpture was one of my favorites, for the optical illusion and the photo ops. A quick stop at the museum building for the latest exhibit. Pack a fully charged camera phone and a Mophie for back up. There are a ton of great photo ops. To wit, one of those many irresistible photo ops. 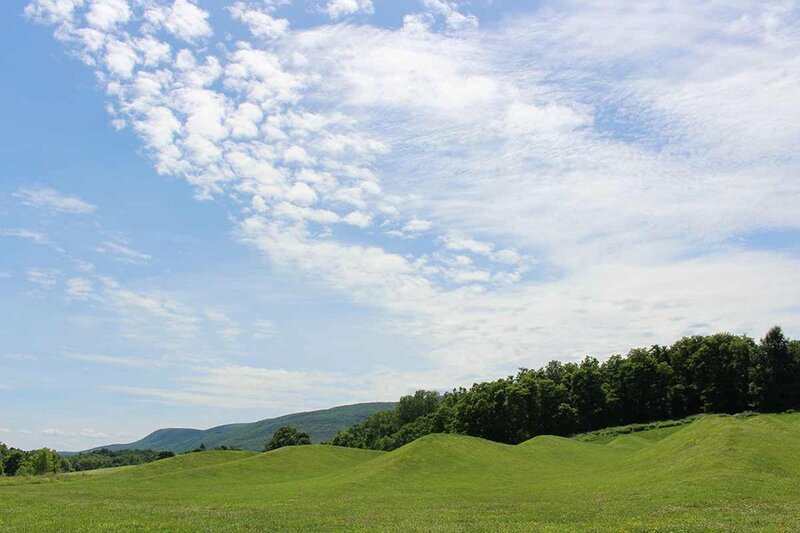 I love how Maya Lin's grass sculpture fits seamlessly into the landscape. Yes, you can walk on it. Even the popsicles were extraordinary. 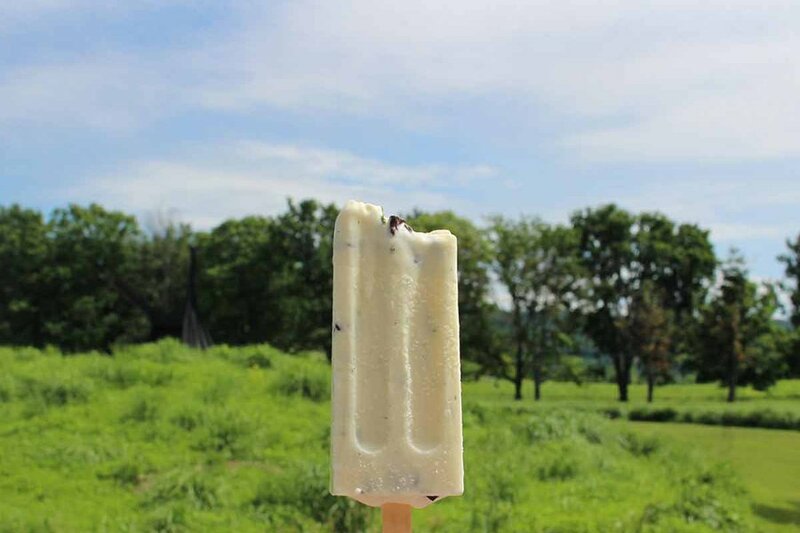 Zora Dora's choco chip mint ice pop was made with fresh mint leaves.